Is it #NutritionMonth2019 or #DairyFarmersofCanadaMonth and #AvocadosofMexicoMonth? We need to talk about Nutrition Month. More specifically, we need to talk about Dietitians of Canada’s Nutrition Month recipes. It’s been a long time (back in 2012 to be specific) since I wrote about the issue of sponsorship in regard to DC’s Nutrition Month materials. To be honest, I feel like a bit of a traitor doing it (DC does many great things to advocate for dietitians), but I think that it’s a real issue. Accepting sponsorship for Nutrition Month is undermining DC’s (and by association all Canadian dietitian’s) credibility. When DC first released their Nutrition Month recipes I was disappointed, but not surprised, to see that they were sponsored by Dairy Farmers of Canada and Avocados from Mexico. Don’t get me wrong, I consume both dairy and avocados. This is not to cast aspersions on either of those foods. However, I think that a dietetic organization accepting sponsorship from the food industry (no matter what the foods are) creates a conflict of interest. I also think that there are additional reasons why featuring these particular foods in DC resources is problematic. I’ll get into that a little later. So, as I said, I wasn’t surprised. This is nothing new for DC. I had a little rant with my RD colleagues (one of whom also happened to point out that the content of the handouts, aside from the recipes was simply duplicated from last year, sigh) and then let it go. My frustration was reignited last week when fellow RD, Pamela Fergusson voiced her concern about the industry sponsorship of Nutrition Month on Instagram last week. She’s also written an excellent blog post about this issue that you should read. That got me curious so I went on the Nutrition Month website and counted how many times dairy and avocados appear in their featured recipes. Out of ten recipes, eight include dairy and four include avocados. There are 12 additional recipes on their handouts, eleven of these include dairy and six include avocados. That’s a lot of dairy and avocados! While I love avocados, they are freaking expensive. They’re usually about $2 a piece at the grocery store here. Given that food insecurity is an issue across Canada, DC even has position papers on both individual and household and community food insecurity, it struck me as a little inappropriate for them to so prominently feature a food that’s not within the budget for many Canadians. Even for those who don’t struggle with food insecurity, avocados are often more of a luxury item than a staple food. The same goes for many dairy products, particularly cheese, which is featured in many of the DC Nutrition Month recipes. Realistically, who’s making a “crab and remoulade sandwich” for lunch?? In addition to the issue of cost, there’s the lack of alignment with the new Food Guide. Despite what many people would have you believe, milk (and dairy products) have not been removed from the new Food Guide. They’ve simply been incorporated into the new “protein foods” grouping. However, there is a strong emphasis on choosing plant-based sources of protein more often. I realize that DC would have already developed their resources before the new Food Guide came out. Even so, the old Food Guide only recommended two servings of milk (and alternatives) daily for adults. No matter which Food Guide you look at, it doesn’t make sense that DC would feature dairy in the majority of their Nutrition Month recipes. A “hearty” burger indeed! As much as I believe that all foods fit and that having treats is part of a healthy diet, I really don’t think that a recipe like this is appropriate for a dietetic organization to be promoting. When people are looking for recipes from Dietitians of Canada they’re looking for recipes that meet certain nutrition criteria. They’re looking for recipes that are going to provide them with a reasonable number of calories, not too much fat or salt or sugar and plenty of vitamins and minerals. I think it undermines their credibility as an organization when they allow sponsors (such as Avocados of Mexico who developed this recipe) to be put ahead of the public who rely on dietitians for unbiased nutrition information. Tags: avocados, Avocados of Mexico, Canada's Food Guide, dairy, Dairy Farmers of Canada, DC, Dietitians of Canada, food insecurity, healthy eating, milk, nutrition, Nutrition Month, Nutrition Month 2019 | Permalink. Photo by Orla MacEachern. Location: Local Source Market. Last week after I wrote about the issue of dietitians sniping at each other I had a reader ask me how to find a “good” dietitian. That’s a bit of a tricky one but I’ll try my best to address it as it seems very fitting for Nutrition Month. If any of my fellow RDs (or anyone who’s seen a dietitian) have any other tips or suggestions please feel free to chime in, in the comments. Nunavut, Northwest Territories, Yukon – Insofar as I can tell, because there are so few dietitians in the Territories, there are no regulatory bodies. Presumably, RDs working in these areas would maintain registration with the Provincial body where they completed their examination. Some provinces (Ontario, Manitoba, and BC) have free provincial programs that the public can use to contact a dietitian via email or phone. This is a great option if you have a common nutrition concern or question. Dietitians of Canada also maintains a list of private practice dietitians but it’s not a complete list as you must be a member of DC to be included. 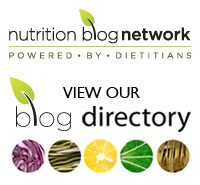 Some provinces also have organizations formed and run by dietitians such as the Dietitians Network Nova Scotia. Again, this is not a comprehensive list of all dietitians in NS as membership is voluntary. The nice thing about their list though, is it provides some detail regarding the area each RD works in and their specializations. You may also wish to contact your local public health unit as they will be able to tell you about dietitian services offered in your area. Many grocery stores also employ dietitians who offer one-on-one nutrition counselling for a reasonable fee. Once you’ve found all of the private practice dietitians in your area now it’s time for the tricky part. I suggest looking to see if they have a website, exploring the website to get a feel for whether or not they’ll be a good fit for you. As with any counsellor or heath care professional, not all personalities are going to be well-suited. Look to see if they have links to social media accounts and see if you can get an idea of their personality and nutrition philosophy from tweets and facebook posts. You should be able to narrow-down your search to a few dietitians based on location and your assessment of their online presence. At that point, you may want to pick one and make an appointment for an initial assessment. If that goes well, excellent, you’ve found your RD. If not, there’s no harm in shopping around. The good thing is, we don’t often work in the same location (like hair stylists) so if you don’t like the fit with the first one you see, you can easily try another without fear of encountering the first at your appointment. Find someone who will help you determine your goals, barriers, and provide you with support to overcome those barriers to reach your nutrition goals. However, don’t expect your dietitian to do the work for you. We’ll be your biggest cheerleader and we’ll give you all the tools you need to get you eating your best but you still have to do the actual work and make the lifestyle changes. Tags: Canada, dietitians, finding an RD, healthy eating, nutrition, Nutrition Month, nutritionists, RDs | Permalink. Dietitians of Canada remove themselves from corporate sponsors back pockets! Exciting news: at the close of Nutrition Month it seems that Dietitians of Canada has heard the pleas of many of us Canadian dietitians. As of next year they will no longer be accepting sponsorship from the food industry! This means members will no longer receive coupons for such products as bologna, nutrition posters prominently featuring pork, or fact sheets developed by multinational soft drink companies. This also means that Nutrition Month will be about improving the nutrition of the general population as it will no longer be driven by the agendas of sponsors such as Dairy Farmers of Canada and Hellman’s Mayonnaise. In the long-term it may even mean the elimination of Milk and Alternatives as a food group on Canada’s Food Guide. Imagine the possibilities that can be explored by a national dietetic body driven solely by scientifically proven nutrition research and common sense! Tags: Canada's Food Guide, Dietitians of Canada, food industry, nutrition, Nutrition Month, sponsorship | Permalink. After a month of “busting” nutrition myths it seems only fitting to end with Canada’s Food Guide. Thanks for reading all month and I hope that you’ll continue to read as I return to my regularly scheduled ranting. Myth 20: It’s too hard to eat all the vegetables and fruit recommended in Canada’s Food Guide. It is hard to eat all the vegetables and fruit recommended in CFG. That’s why you see campaigns like 5 a Day. If it was easy then we’d be seeing more than half of all adult Canadians eating the recommended number of food guide servings but we’re not. In 2008, 46.7% of Canadians reported consuming vegetables and fruit five or more times a day (Stats Can). Keep in mind that the minimum recommended number of Food Guide servings per day is seven, not five. Imagine how much lower the number of Canadians meeting the actual recommendations would be! So, should we lower the number of recommended servings to better match Canadian diets, just like the physical activity guidelines did? Probably not, it’s good to aim high. Just don’t feel badly if you’re not eating eight servings of vegetables and fruit a day. I know that on most days I’m definitely not. Put away your food guide and try to focus on eating a balanced, primarily plant-based diet and you should be okay. Tags: Canada's Food Guide, Dietitians of Canada, fruit, healthy eating, Nutrition Month, vegetables | Permalink.